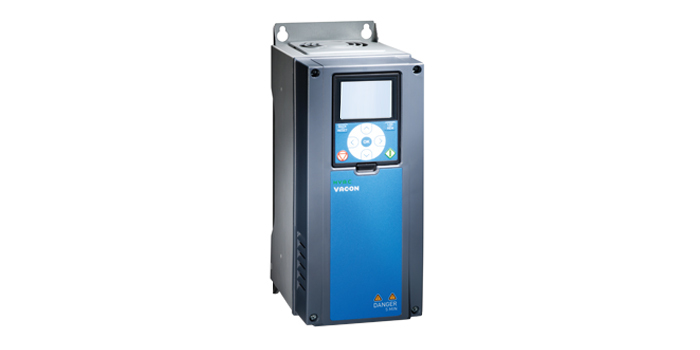 Developed especially for heating, ventilation and air-conditioning applications, VACON® 100 HVAC enhances, for example, the performance of pumps, fans and compressors. It represents a smart investment with a short payback time as all the necessary hardware, I/O options and communication protocols are built in and meet the most stringent requirements of the building industry. VACON 100 HVAC complies with the IEC/EN 61000-3-12 harmonics standard. This means that, thanks to integrated EMC/RFI filters and harmonic chokes, the drives do not interfere with other devices and can even be installed in the vicinity of sensitive equipment. The Modbus fieldbus communication protocol improves supervision options, and the built-in fieldbus connections provide savings in investment costs. The wide range of options for input and output signals brings benefits such as flexibility and savings in cabling and device costs. While safety features, such as fire mode, have been developed to help save lives in case of emergencies. Fans, pumps, compressors and chillers.